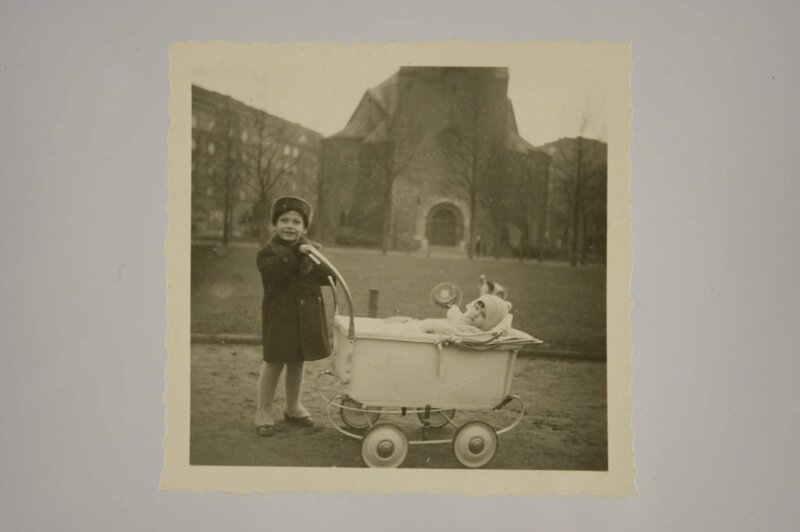 Join us for a discussion with Ruth Barnett, featured in the exhibition, who will talk about how the Kindertransport influenced her work in addressing modern day prejudice. Ruth was four years old when she arrived in Britain with her brother. Ruth speaks at schools and conferences about her life story and she has written books, articles and speaks at conferences about genocide and prejudice. This event is free – booking is essential.